A handy A5 sheet of 35 stickers, each one is 20mm. 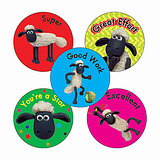 Great for use in the classroom or at home. 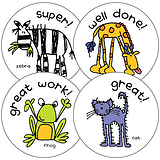 These mixed wording alien stickers are the perfect little rewards for letting your pupils know they have achieved something good. Wear them with pride. 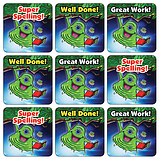 A Spelling Demon - How can you tell a spelling demon? They're the words that look wrong even when they're right. Here are 2 examples. 2. resuscitate. That's why people learn CPR; they're too busy being heroes (not heros) to spell what they just did.